Several companies are building spacecraft to mine precious metals and other rare resources on asteroids. NASA estimates the value of these resources could be up to $700 quintillion – the equivalent of $100 billion for each person on Earth. Deep Space Industries, which hopes to cash in on asteroid mining, is currently building a steam-powered thruster for spacecraft, the Guardian reports. 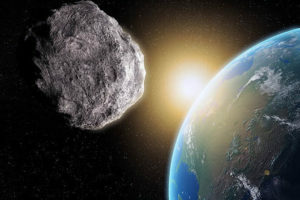 British company AMC (Asteroid Mining Corporation), envisions sending a very small spacecraft to mine platinum, which is common in asteroids but very pricey on Earth. AMC says it would use the platinum to finance larger space missions. Planetary Resources is planning to send robotic vehicles to mine asteroids. The company is backed by Avatar director James Cameron. NASA’s Psyche mission, set to launch in 2022, will set its sights on a metal-rich asteroid known as 16 Psyche. The resources that could be mined on 16 Psyche are estimated to be worth over 10,000 quadrillion dollars. Companies have also been “reinvigorated” by U.S. President Donald Trump’s encouragement of space exploration, Commercial Spaceflight Federation President Eric Stallmer told Breitbart News. In March, Trump proposed a United States Space Force to shore up U.S. defenses on the new frontier, and in May he ordered the deregulation of space travel to pave the way for private companies to help.